Nowadays, it is so important to be able to get yourself connected to internet via WiFi anywhere you go. However, WiFi provides more than this. There are a quantity of conveniences as well as comforts you get that go beyond your expectation and here they are. Have you ever wanted to transfer movies, songs and photos in your computer to your smartphone or tablets? But what if your USB port is broken or disfunctional and you don’t have other alternatives like Bluetooth to transfer them? Just use your WiFi. 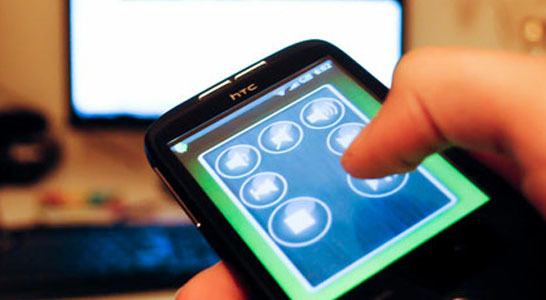 There are plenty of software that can be installed to your cellphone and the computer so that they can transfer various types of data between each other via WiFi. Now you don’t need to worry about the data and syncing without the help of USB. 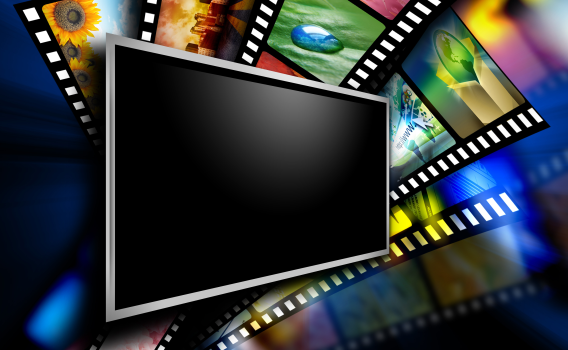 Say you are a movie fan and you are in an urgent need of building up a home media server so that you can stream them via WiFi to other Home theater PC (or game consoles like PlayStation and Xbox) enabled TV without having to copy the DVD movie collection to all the XBMC boxes you have. When every computer is connected to WiFi network, it is possible for you to get your cellphone (smartphone) connected so that you can control all of them on the same network using some simple apps. But hey, not just computers – there are more and more smart devices: furnitures and gadgets like smart bulb, smart lock, smart fridge, smart AC, etc. 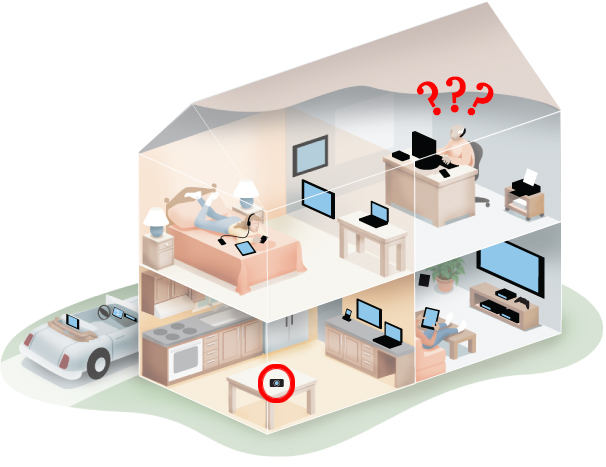 Almost anything in your house can be connected via WiFi. So basically, you get your smartphone connected in a WiFi network, you get everything under control and just relax in your sofa to get things done. What if you are at home but you can’t find your smartphone? Another WiFi enabled device with a device tracking app can prevent this from happening. We all know that GPS can find your device when you are outdoors; but when indoors, its Cell tower positioning has much less accuracy. This is where WiFi comes to your aid. Use your other devices with capable apps to locate and track your phone via WiFi. This is the most accurate way to detect where your phone or tablet stays. It is troublesome to use a printer sometimes: the printer is in another office but you don’t have a super long cable; you don’t want to take your laptop to the place close to the printer for some reason; you are working on a desktop computer that can’t be moved; most printers are kind of heavy and of course you don’t want to carry them around to connect to your laptop. 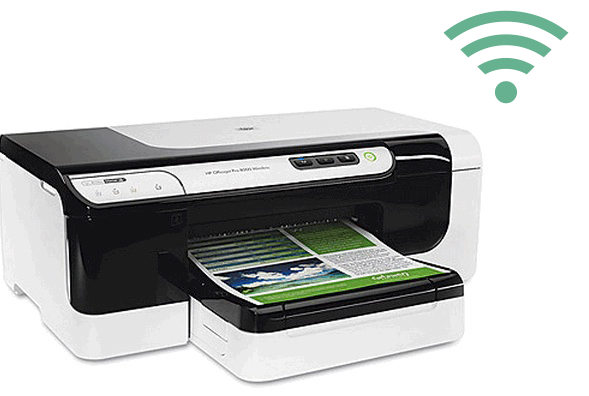 So with the help of WiFi, you can wirelessly send the documents to your printer to print them out. 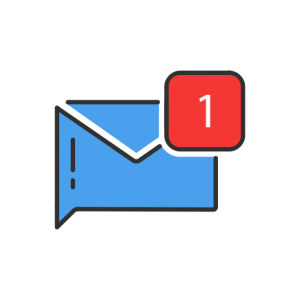 With a simple notifier app of iPhone or Android phones, you can use WiFi to forward the SMS, call and notifications of battery status, system and app updates, time and weather, etc. That’s is very relaxing when you are in front of your computer, because most people are a much faster typer on a computer keyboard than on a phone keyboard. All in All, what you can do with WiFi can’t do without a WiFi hotspot, which allows all your gadgets to connect to the internet. How can you bring a free WiFi hotspot along so that you can uses anytime you want? Free WiFi Hotspot is just the solution because it can setup a WiFi hotspot on your laptop to share any types of network connections with any of your devices. 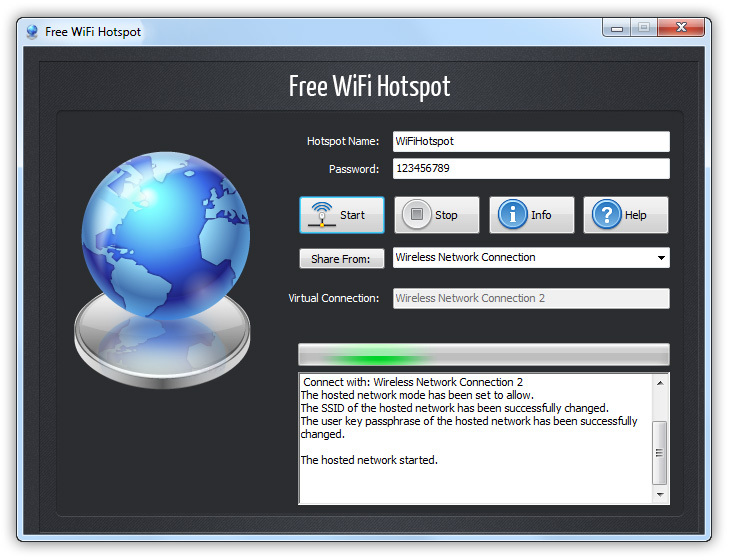 Download Free WiFi Hotspot to experience the universal usages of WiFi! Go check how to create WiFi Hotspot in 3 steps!